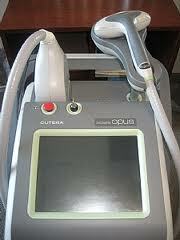 Laser Hair Removal Save yourself time and money and stop investing in hair removal methods that don’t last! Pearls Med Spa knows what a hindrance unwanted hair is and looks forward to designing a treatment plan utilizing laser hair removal to treat your specific needs. Frequent treatments for women include the removal of leg hair, arm hair, underarm hair, chin hair, upper lip hair, sideburns, and the shaping of bikini lines. Frequent treatments for men include the removal of neck hair, ear, back hair, hair on shoulders, hands , feet and beard. IPL Hair Removal Prowave 770™ We offer a safe, and the most technically advanced method of removing unwanted body and facial hair. ProWave 770™ has a larger spot size, making it twice as fast as other hair removal systems. The ProWave difference The ProWave hair removal system delivers a specially tailored light source for permanent hair reduction. Using the latest technology in hair removal, it can rapidly treat large areas safely and effectively on patients with a wide range of skin types. The cooled handpiece increases patient comfort and minimises the adverse skin reaction commonly seen with other light sources. When the pulse light is delivered, some clients experience a mild flicking sensation. No pain medication is typically required;Patients will feel a series of short snaps, somewhat like a rubber band snapping , but no local anesthesia or pain medication is necessary. Sensitivity varies from person to person. Pearls Med Spa offers permanent hair reduction. This means that in most cases the majority of hair will not return after a short series of treatment. Most areas require 6-8 treatments. However, the number of treatments required for optimal long-term benefits depends on multiple factors - hair thickness, the area treated and your hairs growth cycle. Each hair grows at a different rate and goes through three distinct phases: growth, regression, and resting. ProWave treatments work by disabling the hair that is in the active growth phase at the time of treatment. Since other hairs will enter this active growth stage at different times, additional treatments may be necessary.The hair we treat with ProWave will not grow back, and client can expect an 85 percent reduction in hair after six to eight treatments. As we age our hair patterns change, so this does not prevent the possibility of new hair growth over the years. Do I need to grow the hair out before my treatment? No. In fact, we ask that you shave beforehand since the treatment is targeting the hair follicle itself – not just hair. Although clients experience few side effects those most commonly noticed are slight reddening, similar to sunburn. These effects typically last several hours or less. Following treatment you can return to normal activities immediately. Avoiding direct sunlight for a specified period before and after treatment is a requirement for treatment, as is using a 30+ sunblock. appointment for a consultation, we can give you a specific idea as to the number of treatments and the price.